Meghan Markle has already charmed Prince William — and now a source reveals she’s got the approval of Queen Elizabeth II as well. 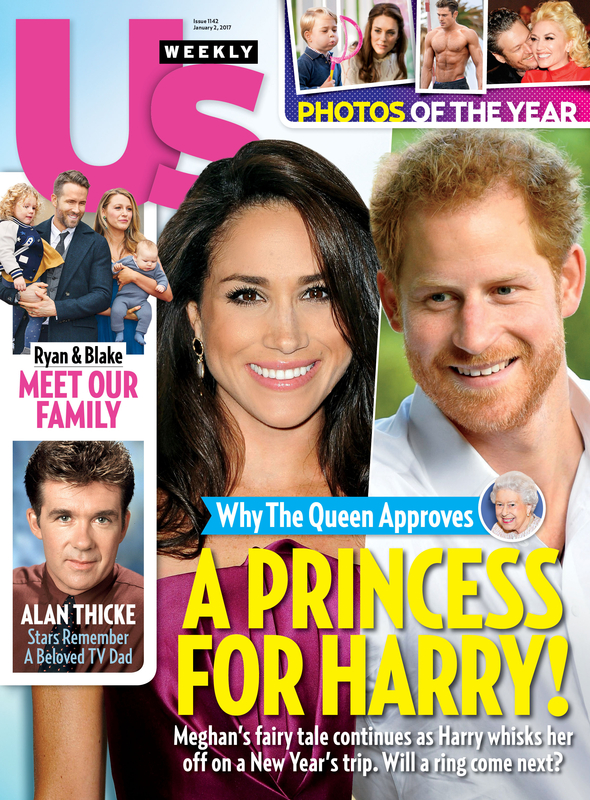 In the new issue of Us Weekly, a Buckingham Palace insider says Her Majesty is “fully supportive” of grandson Prince Harry’s relationship with the Suits actress, 35. The Toronto-based actress actually has a team of cheerleaders inside Kensington Palace, too. Six months into their romance, Harry, 32, has asked senior aides to help her navigate some of the challenges of being in such a public relationship. A Harry pal says Markle was “overwhelmed” by the attention that came with romancing Britain’s most eligible heir, and turned to Harry’s communications secretary Jason Knauf and private secretary Ed Lane Fox for advice. The Northwestern University grad has another VIP on her advising team. After Markle’s romance with Harry went public in late October, Us has learned, a friend connected her with Sophie Trudeau — the wife of Canadian prime minister Justin, elected in 2015. For more on Markle&apos;s last-minute romantic trip to London — and their upcoming overseas getaway — pick up the new issue of Us Weekly, on stands now.